Updated ship components As a rule, early game components are cheaper, whereas late game components are more expensive. Late game components are generally more effective. Planet mineral balance We want to reward you for exploring dangerous worlds and less compelled to visit low-value worlds. Visual improvements We've improved the appearance of the leaders, planet props, and the planets. Updated Fleet Battles Balance We've made a fairly substantial improve ship balance in fleet battles. Important: Due to the scope of these changes, this build may break any local mods that you have. Added new Flee mechanic. After winning your first round, you can flee the battle. However, note that the enemy fleet will be fully healed when you fight them again. Added a new System Scanner component that highlights planets with "interesting" things. Changed the type of hyperdrive you get from Kzanti in Sirius A so that Star Control accepts it for Colony ships. Adding some Captain's Logs to the scared Tywom quest giver NPC. Fix for a hitch with the Mukay Ice World prank the Menkmack play on them. All Ice Worlds are despawned when the prank is caught. Moving the planet Vrooms in Alpha Mensae much further into the system to stop some weird behavior when the player tried to land on it and went into hyperspace instead. 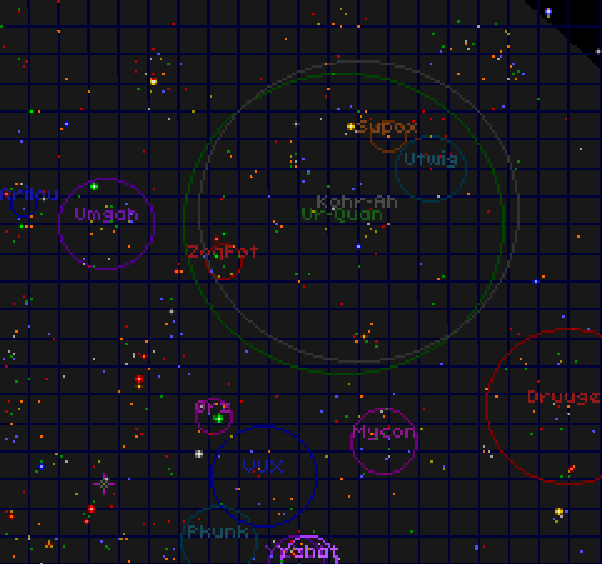 Moving some planets in Arcturus a little closer to the star, so that players can actually land on them. Earthship energy regen rate increased from 7 to 9. Changed some ships to the human faction to allow healing. Default Lander Crew increased from 5 to 6. Deflector Mark II reduced from 20% to 15%. Reduced cost of overpriced lander components. Reduced the selling price of some of the "random" pick-up weapons. Fixed some ships having too small RU value. Increased cost powerful Nuke variants. Overmind Deflector reduced from 25% to 20%. Slight nerf to stacking deflectors. Planet mineral balance pass. In general, the higher the risk, the higher the reward! Minor balance changes to Norast ship and Battlecruiser since you can now heal them. The game now despawns mercenaries when you hire the Mercenary Captain. Urlon convoys now use the proper ship in combat. Added Scryve space exploration 1 song. Right-clicking on AI button in fleet battles setup now moves backward through the opponent types. Resolved issue with pressing B button on controller causing popup dialogs to cancel but not call any button functions! Slight performance improvements to stamps. Added Commander voice over for German, Russian and Chinese languages. Updated galaxy object names for non-English to improve translation and better match quests. Added translations for Portuguese-Brazil and Spanish (Spain). Updated translations for German, Russian and Simplified Chinese with lots of fixes/corrections. The Tywom will now properly deduct any superfluids from the player. The "sell conventionals" button is no longer disabled if you didn't have a common resource in your cargo. Fix for the alien who can't be ignored in Alpha Mus. Fixing an incongruous movie for a building on Iota Aspis B II. Fix escape when using surrender from escape menu in Fleet battle (campaign) causing the game to unpause. Modified marketplace to deal with an issue where you could lose fuel by selecting the same component in the list. Deleting a ship design will now correctly select the first design in the list afterward. Ships are no longer stuck on the edge of the Arcturus system. Maelnir trader in Arcturus is no longer stuck inside the star. Fix for incorrect Game Over a few days later if you stop the Xraki from destroying Earth after they arrive. Fixed a controller hang issue when dismissing auto nav dialogs quickly. Adjusted Controller UI dead zone value as it was overly sensitive. Fixed bad placement of village on Wastear in the Lacaille 8760 system." Despite being the first ship players get access to in the Adventure Mode, it’s incredibly powerful and one of the best. The incredibly rapid fire rate of the main gun made it too good at bursting enemy ships down. In particular, the Spawn Turret mechanic could be quite exploitative and anti-fun by encouraging the player to avoid the enemy spawning turrets and never engaging directly. These changes will make the Tywom play more actively and make it feel like more of a starter ship. The Greegrox was far too difficult to hit with projectiles due to the tiny Collision box combined with instant direction changing. These changes will make the Greegrox easier to hit. The Measured Response could be very frustrating to play against due to the permanent slows and difficulty to hit due to high acceleration, small hitbox and instant direction changes. It will be easier to hit and its weapons are getting toned down to justify its 7 points cost. The Lexite Interceptor was far too strong to justify its low 9 point cost. The raw power of the Trandal Weapon was too much, especially when combined with its massive mobility allowing it to flank enemy ships or pickup all the salvage easily. Like the Tywom Bolt, the Scout Shot was able to burst targets down far too quickly despite also having the dangerous self-destruct. This is intended to also affect other ships using Scout Shot. The Drenkend Carrier was too strong to justify 12 points. The De-energizer Bolt could be quite exploitative due to it’s rapid-fire and low energy cost, which could permanent chain stun targets. The Xraki Devourer was too strong at 12 points. The long range and massive energy pool encouraged the ship to avoid the enemy and fly away poking long range black holes, which also were deadly at close range. Lowering the range of the Black Hole projectile will force the Xraki ship to approach the enemy more. The Menkmack Negotiator was too weak for 12 points. Invitation was far too spammable at only 10 energy as it practically had no drain on the Phamyst, given the huge range and lack of required aiming it was too powerful. The Kzanti ship was frustrating to verse as it was overly nimble and able to knock the enemy away with Repulsor. It will now be slightly less agile and not be able to spam Repulsor on top of planting mines. Especially important as this was one of the first ships the player would encounter in the Adventure Mode. Not sure if you fixed this as part of the Arcturus fix, but the Maelnari trading ship is stuck in the star and is inaccessible. Looks awesome. Is there any rough timelines on when we might expect this to be out? Is "soon" too rough? We're waiting on QA to make sure there are no obvious showstoppers. Once it's clear, we'll put it up. Can't wait, looks like a great list of fixes. I'm on my first play and 'worried' that I might be near the end, looking forward to this patch as a excuse to play it again on harder difficulty! Loving this game so much, stardock. Well done! Not that I didn't like the original Trandals voice actor, but I do like the differentiation between the Overmind and the Free Trandals, and the new voice actor does a good job. The animated background is also good. Optin updated. See original post for details (oh so many changes!). 1.1 is now live! Enjoy. How do mods in general affect save games? Can I take my post game completion save, turn on some mods, and go adventuring? Does that bake the mod configuration into sequential saves I make? I am trying to get a general feel for how/when I should use mods. Yes, you can apply mods to an existing save game. If you disable the mod, the changes will go away. So if you remove a mod that had doubles the value of minerals, they will return to the original value. Save games do remember what mods were enabled when you saved it and will warn you if you try to load it after disabling a mod. Thank you for the patches, this game is now playable on my machine! It really is a pity that this was not the 1.0 patch (and as written earlier, I think many of the bugs should have been identified and addressed prior to 1.0), but despite all the issues with the communities, I really like this new universe start. Depending on the legal situation, I really, really hope to see more from the multiverse and not let this be another dead end. It defnitely has made us appreciate the value of early access (which sco didn't have). I could not resist and decided to tell about the noticed flaws and bugs in the game, as well as ask some clarifying questions. When I was playing the game for the second time, I already knew about System A Satori in advance, and so, without even meeting with the Shamyksts, I flew into that system, broke the fleet of Skryves that hindered me (if the base ship is well pumped, it is not difficult) on the appropriate system and easily activated the portal by the code “which the Shamyksts gave me” ... WAT !? But I have not met them! After the victory over the Xraki (portal explosion), the commander of the star control offers us to fly around the allies, ask them .. well, ok, we flew. The dialogue with the measured ones has especially fallen into the soul. In my opinion, it is necessary to completely reconsider what they can say and what certainly is not worth talking to all races after defeating Xraki, not only measured. After the victory over the Xraki (the explosion of the portal), and maybe earlier, in some systems of the supermind Alpha, the Delta Corps (perhaps others, did not check everything), there is no soundtrack at all. Could you fix the map in the game so that it is similar to SC2? In other words, that the names of the races were not somewhere below and it is not at all clear who is who, but the name of the race was right inside the area they occupy. This fix will be very useful for new players who have not yet played. Probably it still makes sense to select free trandalls on the map, as it was at one time in SC2 with the insurgent yerhats? In the Delta of Lynx there is a ship of luminous angels, who asked us to find the “clavis aurea” - I flew around the entire constellation of lynx, including the system of lvvoren, which also had luminous angels. I saved a radiant angel from the surface of the planet. I don’t remember which system, but I didn’t find this “clavis aurea”. Where is he and what is it at all, a bug? The game has so-called weapon boosters, reflectors, boosters and energy storage devices. They are divided into two types: one for the fleet, the other for the base ship. Here is the question - do modifiers for the fleet include the base ship itself or not? At the highest complexity of the game, in my opinion, the final battles with scrives, xraki (including the portal) are easily traversed by one basic ship. The ship Mu-Keyan does cheat at all in battle with the defensive drones of the base stations. Maybe it is worth complicating the final battle? Remembering the battle of SC2 with samatra, while getting to the core, almost the entire fleet via MMRNMHRM was destroyed. P.S. Thank you for having more or less brought optimization to the game, especially on volcanic planets, because it used to be terribly lagging, now it's better. P.P.S. Special thanks for the soundtrack. 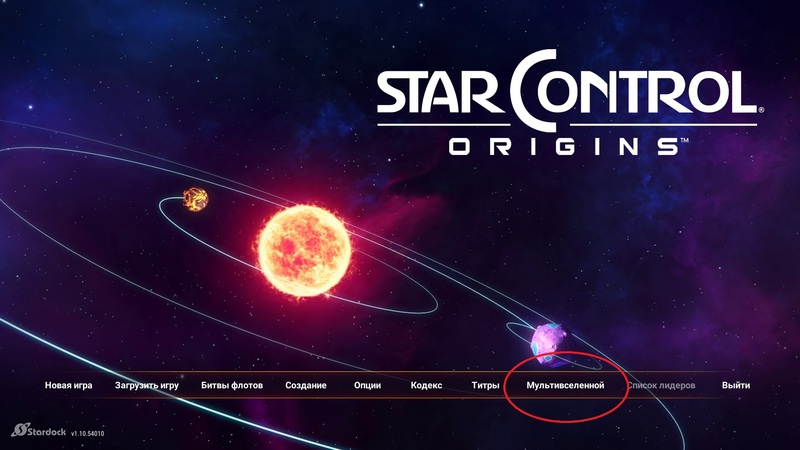 I think you wanted to say “Мультивселенная” or “Метавселенная”, but not as “Мультивселенной”. I speak to you as a Russian speaker. Beside the "Monitor Deep Starbase" I started a conversation with the Tywom vessel and does not seem to be an exit to the conversation. There are 3 topics and all of them end with asking if there is anything else returning to the same 3 topics. Appears to be an endless loop here. I can't seem to exit the convo.. I suppose no one knows a way to exit another way without having to kill game and reload a save? You ask him about a Pink Lorris/The secret precursor vault/..
Can you confirm this is still a bug after the v1.2 patch? Thanks!